Enhance your school safeguarding with live reports of who is signed in and real-time evacuation registers. The sleek, easy-to-use solution will leave your visitors with a great first impression too. We know that the top priority of any primary school, secondary school or multi-academy trust is to create a safe and secure environment for pupils. Visitor books fail to provide accurate visitor history for safeguarding, create a mountain of data work for your admin team and are old fashioned at your reception. That's why we created a visitor management system for schools that prioritises safeguarding while providing a great user experience and remaining affordable to meet school budgets. 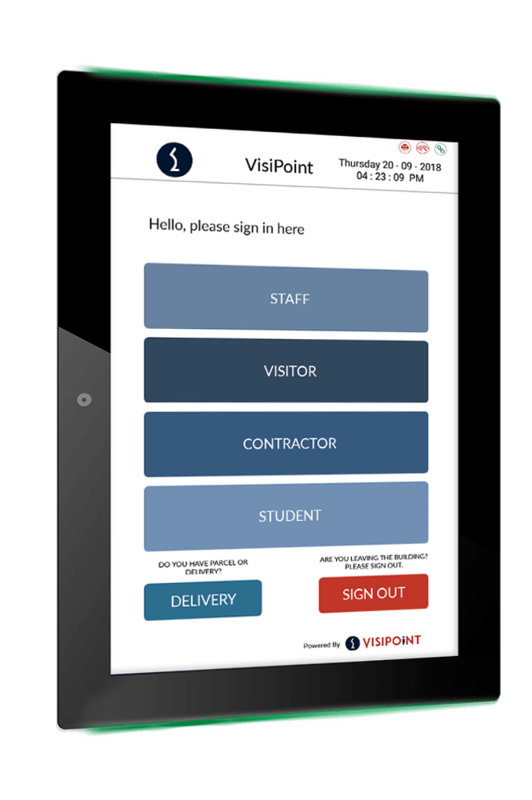 Integrate VisiPoint with your MIS to automatically sync data such as late arrivals and students signing out for appointments. Pre-register your visitors and issue a QuickPass code which visitors can scan from their phone to sign in. 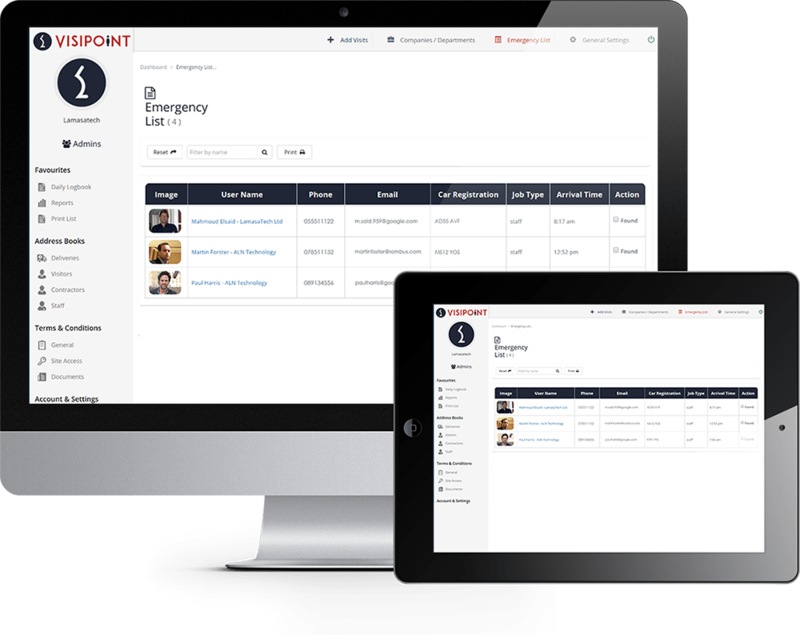 Up-to-date fire lists are accessed in seconds and multiple individuals can work through the roll-call at the same time. A photo ID badge is printed automatically for each visitor with their photo and visit details for easy identification. Staff are notified by email once their visitor has and signed in so staff can meet them quickly with a professional welcome. Staff can sign in with their existing door access cards by tapping the card on the RFID reader. Repeat visitors will be intelligently identified as they type the 3rd letter of their name during sign-in. Easily sign in and out groups of individuals - perfect for events, school clubs, parents evenings and more. 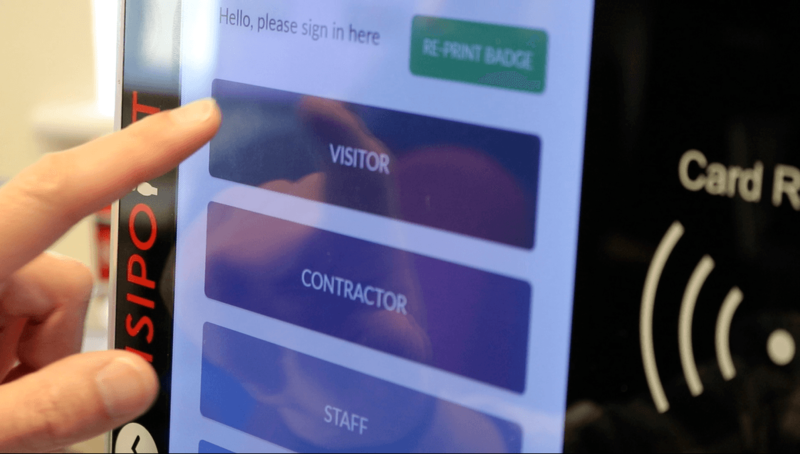 Customise the sign-in process by creating your own sign-in buttons for your user types and custom data fields for data capture. 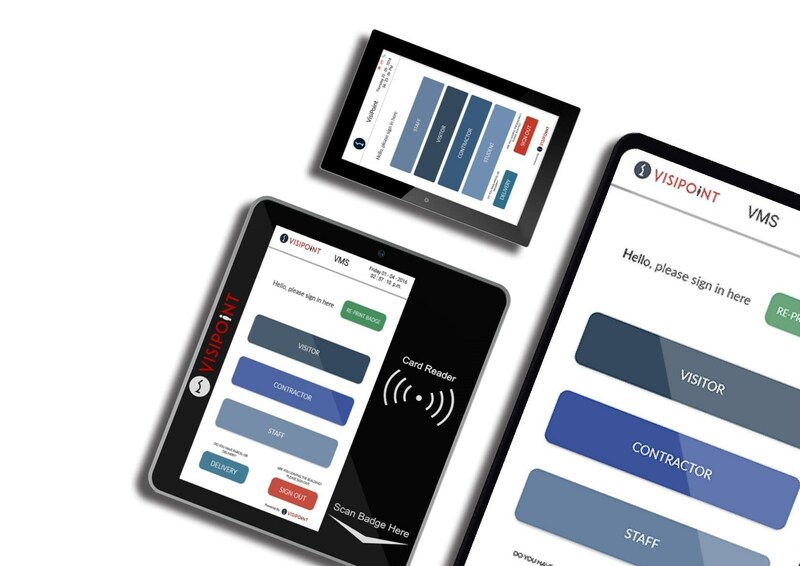 With its intuitive user interface and modern design, VisiPoint gives visitors an excellent first impression. The system is easy to use and makes the sign-in process fast, efficient and paperless. There's no limit on visitor sign-ins or on staff accounts, so the system grows with your organisation. We have developed our own purpose-built hardware to run seamlessly together with our intelligent software. Our hardware is designed specifically for visitor management and 24/7 public use. Select from our 13" tablet, 10" tablet or freestanding kiosk. Stay informed about your school with key information in real-time from the management dashboard, where you can generate reports on visitors, pupils, staff and contractors. Data is stored securely in the cloud in an EU Data Centre, in compliance with all GDPR regulations. Data is encrypted at rest and in transit to keep you safe from data breaches. "VisiPoint is so easy to use and the customer service is brilliant. The biggest benefits for us are being able to access live reports of staff and visitors on site and up-to-date evacuation lists via mobile while performing our fire drills." "The system is modern and easy to use. The vocal welcome and goodbye messages always get a smile from visitors." Ready to get started with VisiPoint? Browse our success stories from a range of our customers. Check out the latest insights from our blog for schools to improve safeguarding, productivity and more. Yes - I'd like to receive emails from VisiPoint containing help guides, offers, content and more.